To provide Professional Representation, Support and Consultation for Manufacturers. We strive to achieve that goal by investing in quality sales staff, hiring outstanding sales administrative assistants, emphasizing the excellence of our overall support staff, and forging solid relationships with partners, brands and clients. At Koval Williamson, we embrace doing business with integrity, foresight and efficiency…continually bringing our clients and brands the absolute best possible services. Our team is qualified and robust. Koval Williamson was founded in 1983. 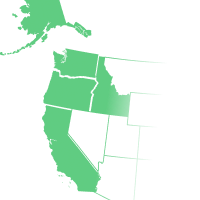 We help factories place their products in national and regional accounts headquartered in the Western US. E-commerce marketplace connecting subscribers with vendors offering activities, travel, goods and services. Discover an overview of the diverse account base that we work with. Koval Williamson represents the best of the west coast. Their sales reps are extremely knowledgeable and maintain strong relationships with major accounts. Our business has doubled since partnering with them. It has been our pleasure to work with Koval Williamson for over eight years. They offer comprehensive coverage of all accounts in the Western United States. Second. KW offers both expertise and excellence in representing our company and brand. KW is a true partner in growing our business. They take it as seriously as we do and care about it as much. Finally, the personal relationships we have developed over the years are extremely important and valuable for us. It is both more fun and far more effective. In my 30+ years of Consumer Products within the Vendor community I have come across only a few Manufacturer’s Sales Organizations of the caliber of Koval Williamson. As a manufacturer you need a true business development partner with the same goals and perspective to overcome the challenges of launching brands, securing distribution, servicing the customer to the highest degree to maintain a near perfect customer service. Koval Williamson exceeds all of these expectations as a business partner. If I can offer only one bit of advice to other vendors, if you have an opportunity to partner with this organization, seize it. Sales and marketing consultation for over 35 years. We've been working hard since we founded the business 30 years ago. We have multiple offices and folks ready to answer your questions. For more information and options click here.